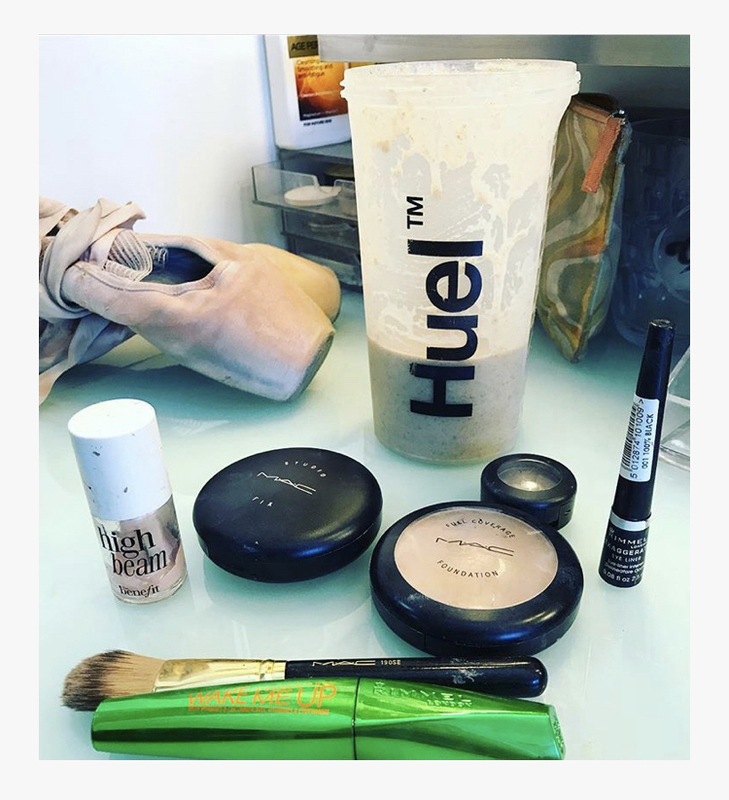 There’s a craze with us dancers at the Royal Opera House ... Huel. It’s a meal replacement Shake containing a blend of Oats, Pea Protein, Flaxseed, Brown Rice, vitamins, and loads of other healthy ingredients. I find other shakes quite difficult to stomach but this is quite tasty, it’s also vegan and although I’m not vegan I am intolerant to dairy and find they use mostly whey protein in other protein shake brands. 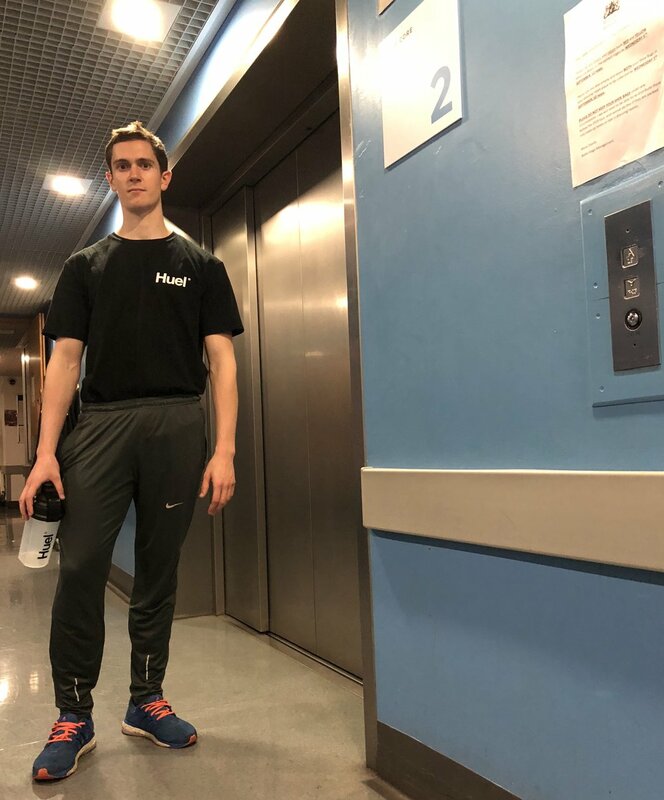 Caught Billy at the elevator with the full Huel kit on ! I tried it two years ago and haven’t looked back since. I sometimes replace my lunch with it, but usually swig it during the day for extra energy and calories. If I’m doing a big show then it’s ALWAYS by my side. It just keeps the energy levels up so you can feel the same in Act 3 as you felt in Act 1..... well almost !! It’s very digestible too so you don’t get that heavy, lethargic feeling. Teo ripping his tee for the iconic male dancer look. Tools on my dressing room table. It doesn’t look like it’s just me who’s keen, I‘ve spotted dancers also getting there fuel from Huel, and wearing the brand as it’s a pretty cool label to be associated with ! ... FYI Huel did not pay me for this feature !! Aiden wearing the Tee with an Apple Watch. Pointing my foot towards Huel.. this wasn’t intentional !